Beach Close Pool Size lot in Niguel Shores the best of Indoor-Outdoor Living. This three bed, two bath home features outdoor ambience from every room and indoor timeless elegance. Enter to an inviting paver courtyard with mature landscaping. Step into this light and inviting home with rich hardwood floors, updated neural paint, vaulted ceilings, a fireplace with a stone tile and granite hearth, custom mantle and elegant arches defining the living spaces. Sophistication and warmth continue into the remodeled kitchen with granite counters, recessed lighting and chef appliances. Off the living room the entertainerâs patio features a shady awning that opens to a pool sized yard. With patio access the master suite features recessed lighting, an elegant bath with a dual sink Carrara marble vanity, marble tile shower and upgraded lighting and fixtures. The front bedroom has French doors to the entry courtyard and the third bedroom also has patio access. Last is a guest bath including a designer vanity with a granite counter, stone tile backsplash and subway tile shower with a custom beach themed inlay. 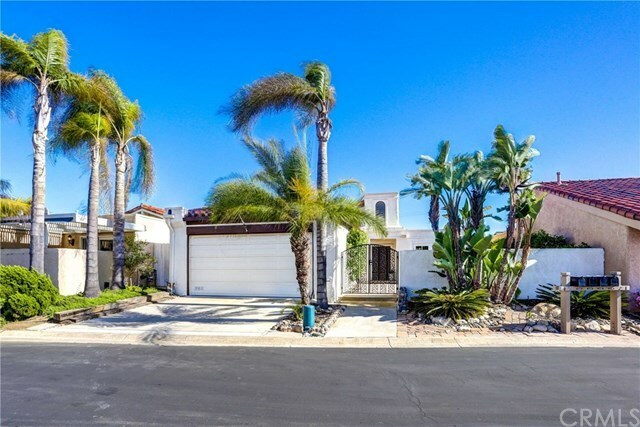 Located on a quiet cul-de-sac with a 2 car attached garage, a 2 car driveway and added A/C enjoy Niguel Shores amenities including an oceanfront bluff-top park with direct beach access, pool and spa complex, tennis courts and more. Situated near the Ritz Carlton, the Monarch Beach Resort and Links, Dana Point Harbor and Downtown Dana Point this unique coastal lifestyle could be yours.